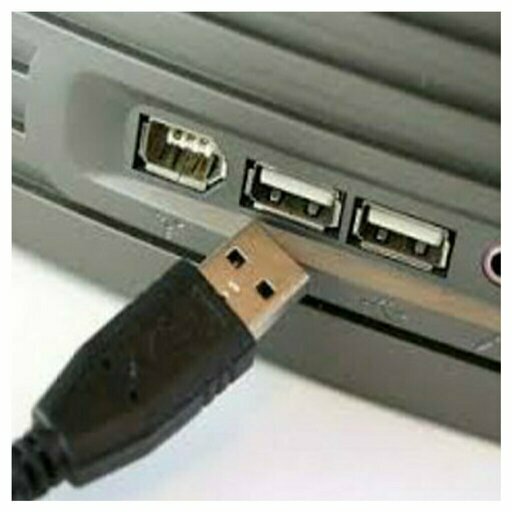 The USB bus is also said to \Hot pluggable\, that is to say that you can connect and disconnect a USB with the PC on. The system installed on the PC (Windows, linux...) recognizes it immediately. 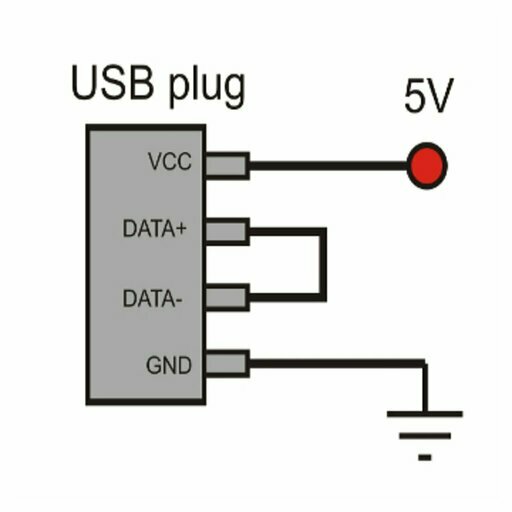 Indeed the USB bus gets suspended after 3 ms if it is no longer used. During this mode, the component consumes 500µA. Finally, the last highlight for USB is that this standard allows to feed the device directly with the PC so no power outside. -The tau of clock Series USB is much faster. -Series cables are much less expensive than parallel Cables. -A second pair that can be used for power supply GND and Vcc. The first pair is unshielded for slow devices such as keyboards, mouse working at 1.5Mbits / s. Cameras, micro and others use a shielded twisted wire pair to reach the 12Mbits/s. The USB standard is designed to be able to connect a variety of devices. • 12 Mbps mode high speed. The USB 1.1 standard brings a few clarifications to the manufacturers of devices but does not alter the flow. All the PC currently supports two bus speeds, \Full Speed\ and the \Low Speed\. The \High speed\ has been added with the appearance of the USB 2.0 specification. However, to use this transfer speed, to be equipped with motherboards and USB controllers supporting USB 2.0. The system must meet three conditions to pretend to be able to handle the USB. 1. He must be able to manage the connection and disconnection of the device. 2. He must be able to communicate with all new devices that are plugged in and find the best way to transfer the data. 3. must be able to produce a mechanism that allows drivers to communicate with the computer and the USB device, commonly referred to as the enumeration. At a higher level, we can also say that an OS managing USB must contain drivers for various devices, which make the link with the operating system. If the system does not have the default driver from the device to be installed, the manufacturer of the device that should provide it. 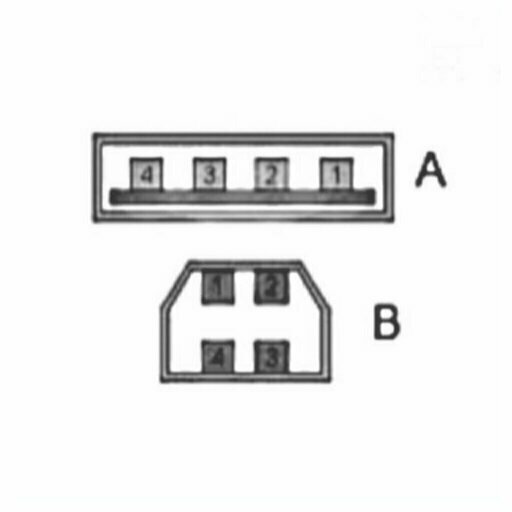 • A type connectors, rectangular in shape. They are usually used for devices with low bandwidth (keyboard, mouse, webcam). 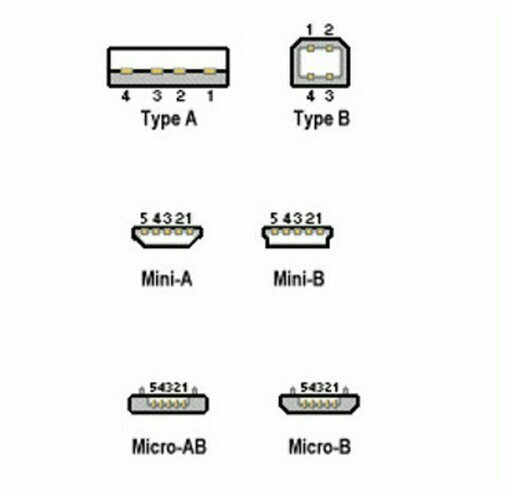 • Connectors of type B, square-shaped. They are used mainly for devices such as external hard drives, high-speed. The maximum length allowed by the standard is 3 m unshielded cable so generally for a \Low\ (= 1.5 Mb/s) USB device and 5 m for shielded Cable in the case of a Full USB (12 Mb/s =). In 2008, USB 3.0 introduced the gear (SuperSpeed 625 MB/s) mode. But this new mode using a coding of data type 8B / 10B, the actual transfer speed is only 500 MB/s. The USB 3 delivers an electric output of 4.5 watts. New devices have connections to 6 contacts instead of 4, the backward compatibility of the sockets and cables with previous versions is guaranteed. On the other hand, backward compatibility is impossible, cable USB 3.0 type B are not compatible with USB 1.1/2.05 catches, in this case using adapters. In early 2010, the USB 3 is introduced into consumer products. Corresponding sockets are marked with a blue color. Appear as red USB Sockets, indicating an available electrical power top, and suitable for quick loading of small devices even when the computer is turned off.